Polyurethane Engineering Techniques Co., Inc.
PETCO provides a wide range of roll coverings for the largest commercial printers in the United States. 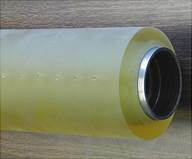 We supply roller compounds for web and sheetfed offset, flexo, gravure, converting, and heat set and non-heat set newspaper customers. We also supply many engineered compounds for the converting industry where our polyurethane and rubber versatility becomes critical. 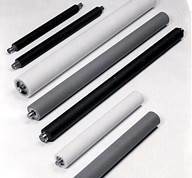 Our Petcothane and DV series of roll coverings are engineered for compatibility in heat set and UV inks, for conventional or waterless offset, for standard and automatic dampening systems, and for many individualized press requirements. For the Graphic Arts we have developed dampening roll “systems”. This novel process of identifying the unique requirements of each roll position has led to the combination of polyurethane and rubber roll coverings within printing units that meet the highest performance demands of those units. 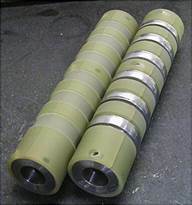 And for the converting and general industrial roll markets we provide compound solutions specific to the multiple demands of feed, conveyor, print and other roll types. We also understand the needs of today’s printers. Responding to the demand of just-in-time systems and reduced inventories, we provide turnaround on roll covering that is the model in our industry. Because of our versatility in both polyurethane and rubber compounds, we produce not only a full range of standard ink and water roll coverings but also hickey pickers, specialized water rolls, super-tough infeed rolls, anti-ghosting rolls, the often-copied and highly acclaimed “Shock Ductor”, and many other custom products for non-print applications. We provide complete core services from replacement and repair to core design, inventories, and assembly. We produce refabricated coverings for existing equipment and complete roller products for original equipment. © 2014 Polyurethane Engineering Techniques Co., Inc.